Here is a form of two-party confidentiality agreement covering information shared by both parties. If you’re not following April Dunford, you should. Her post today titled “Pre-Launch Marketing for Stealthy Startups” is a good example of why. 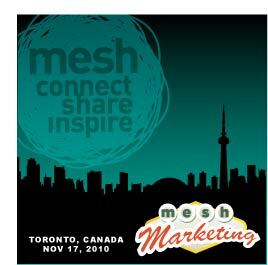 April’s one of my hohoto colleagues, and spoke at our inaugural meshmarketing last year – she’s a keen observer, and you should add her blog to your reading list. “What Makes an Entrepreneur? Four Letters: JFDI” – A superb post by Mark Suster on the necessity of committing to your vision and taking action on it. I see so many people who return to me for advice on the essentially the same decisions, or whom I see stuck on the same challenges. BTW, I don’t believe this skill is unteachable, but I do believe it can’t be learned by everyone. “The Eight Best Questions We Got While Raising Venture Capital” – Great post on Techcrunch from the CEO of Redfin.